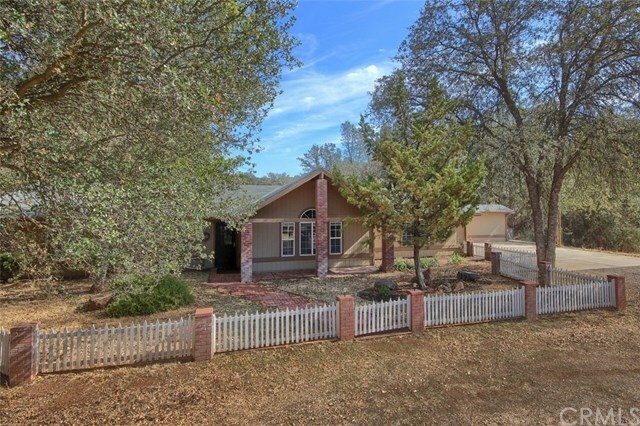 Pristine country home on 5+/- acres just minutes to historic Mariposa and Yosemite National Park. Spacious 3 bedrooms, 2 full baths with an open floor plan, a large kitchen with huge island with plenty of room for creating those awesome country meals. You will love the large game/bonus room (garage conversion). This home was recently updated with new roof, furnace, new stainless steel appliances with 6 burner Samsung oven/cook top, carpet, wood style flooring and beautiful custom paint throughout. The property has been completely brushed and is all usable with a pad for your open air horse barn and arena. You will love the 2 large storage rooms that can be used as a craft room, tack room or workshop. Great location for easy commute to UC Merced. Call today to see this awesome country ranch home. Directions: Highway 140 to Yaqui Gulch Road to Guadalupe Creek Road and the home is on the right.